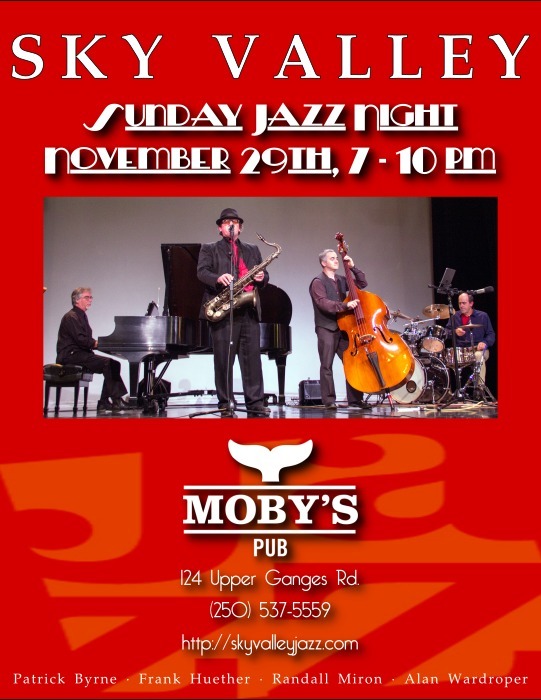 Sunday Jazz Night at Moby’s Pub, Nov 29, 7-10pm. 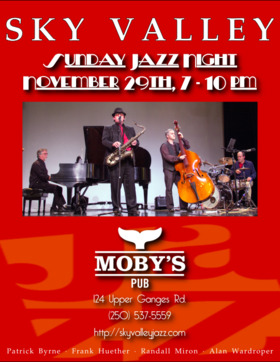 If you missed them at SSNAP or the Chamber of Commerce Awards at Artspring, Salt Spring’s own Sky Valley Jazz Quartet, featuring Patrick Byrne (saxophone), Frank Huether (piano), Randall Miron (drums) and Alan Wardroper (bass), will be playing at Moby’s on Sunday evening, Nov 29, 7-10pm. 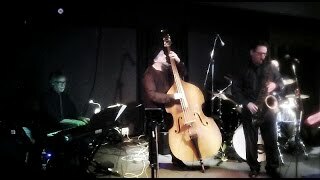 Come out for great tunes, food and drink.